Morbid was mentioned in this months issues of Funeral Service Journal. 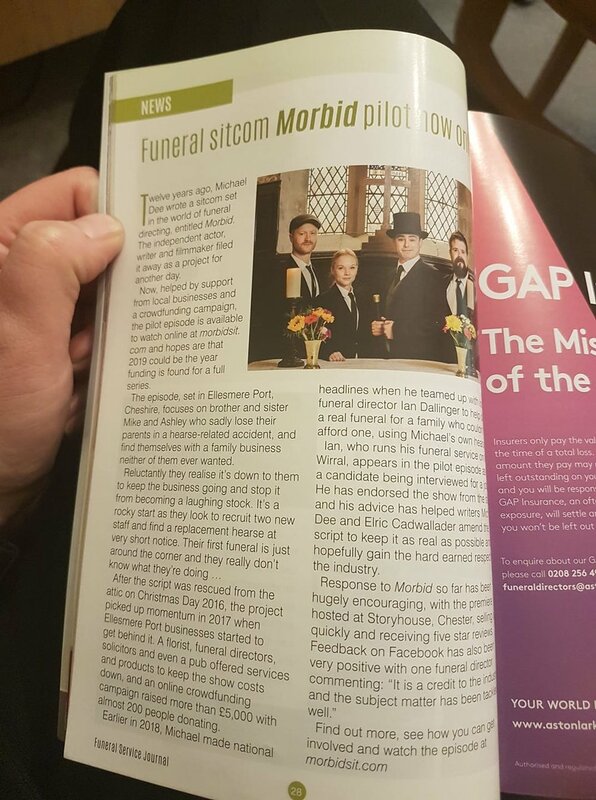 The article goes out to funeral directors across the UK and gives the show a fantastic coverage within the funeral trade. The article talks about the show and where it’s based. A fantastic article in all and we are very grateful to Funeral Service Journal for taking the time to have us in the magazine.